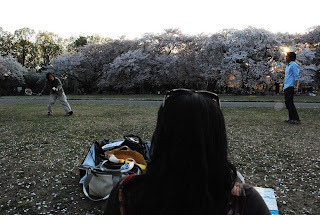 My friends in Japan report that this year's hanami has not been quite enjoyable thanks to the cold weather that still lingered from the past winter. 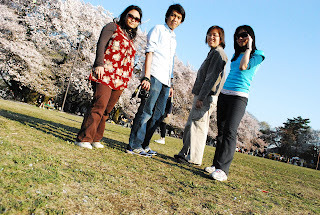 Even though hanami season is coming to an end, yet the temperature still hovers below 10 degrees. This time last year my Waseda friends & I had the time of our lives rolling on the grass and taking silly shots of each other. 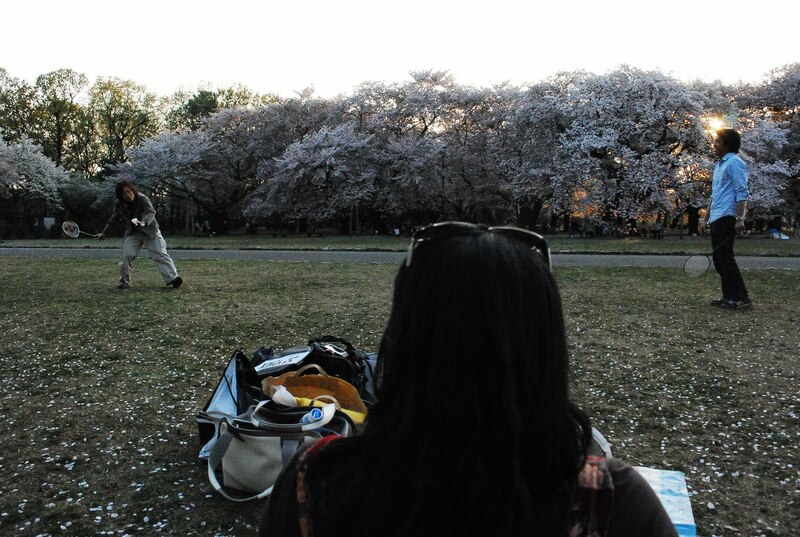 It was to be our last hanami together. I couldn't post up all the pictures we took then, and since I'm talking to Amin about his hanami I decided to share some of the rest that I left out the last time.